Like trying to finish a three course meal at Sai Chinese Corner or listening to Anthrax at full volume, certain tasks, though in-principle pleasurable, are also intimidating. Attempting them feels like too big an endeavour for my feeble mind, and I fear coming across as a fool. Trying to review George Eliot, (Mary Ann Evans, to give her real name), I realise, is one such task. But recent ruminations have convinced me to treat Don Quixote as an ideal, and so I shall try, and as an acknowledgment of my incapacity to do justice to the work, I shall keep this short. Daniel Deronda is a story that runs on two largely parallel tracks. It is the story of the beautiful Gwendolen Harleth, a spoiled child who tries to do right by her family when it faces financial ruin and ends up paying a higher price for material comforts than she expected. And it is also the story of the titular Daniel Deronda and his search for his heritage and a purpose in life. The stories intersect with these two characters, with Gwendolen seeing in Daniel a moral anchor to her life she feels she has lacked thus far. Gwendolen Harleth must rank as one of literature’s most remarkable heroines. A fully-fleshed out character, a bundle of contradictions and impulses, of a desire to be a good person clashing with a need for adulation and an instinct for rationalising all her actions, she is the dramatic centrepiece of the story. 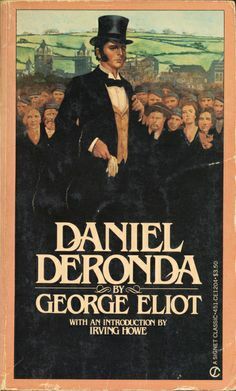 Daniel Deronda, by contrast, seems almost too good to be true, though idealising him is probably a deliberate attempt by the author to draw a contrast between upper-class Victorian society, so bright in its façade and so rotten from the inside, with the detached, ‘part of it but not really a part of it’ Daniel. Still, while Daniel’s story is interesting enough, it is Gwendolen who attracts more attention. "Ah, sir, you are under some mistake there," said Klesmer, firing up. "No man has too much talent to be a musician. Most men have too little. A creative artist is no more a mere musician than a great statesman is a mere politician. We are not ingenious puppets, sir, who live in a box and look out on the world only when it is gaping for amusement. We help to rule the nations and make the age as much as any other public men. We count ourselves on level benches with legislators. And a man who speaks effectively through music is compelled to something more difficult than parliamentary eloquence." Daniel’s guardian Sir Hugo Mallinger, in contrast to Grandcourt, is an example of what is still good about the nobility, while his friend Hans Meyerick and his family are again a true-to-life representation of the striving middle class. 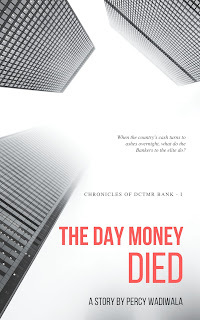 The Jewish characters who take up a major part of the second half of the book are more caricature than the others, with Mirah, the actress who Daniel saves from committing suicide, and Mordecai, the consumptive philosopher, being almost too perfect to be quite believable. Nonetheless, they play their parts in the narrative, and if a part of her objective was to present the necessity of opposing racial (or any other discrimination), Eliot has certainly chosen her props well. Even the Cohens, a stereotypical family of Jewish pawnbrokers serve to project normalcy among their race, a family life not entirely different from Christians of their social class. About the writing, nothing needs to be said. George Eliot is revered for good reason. 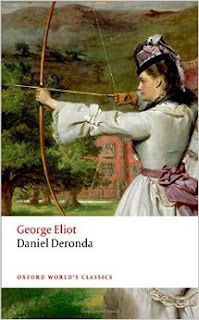 I took up Daniel Deronda after reading a thoroughly amateurish, poorly-written and negligently-edited book by a novice author, and the first chapter itself was like having the filth of that washed away from my mind by a gentle, cool stream of the purest water. The quality never slackens. Even when you want to know what happens next, you still do not skim the passages dealing with philosophy, and the 300,000+ word count feels less like a burden on the reader’s back but more like a long, pleasant country road well worth walking on, filled with beauty and much to learn just by observation. 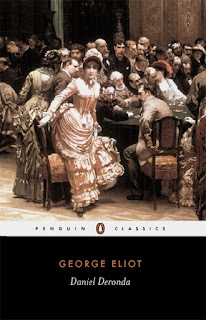 For an intriguing story, finely-drawn characters, philosophy that manages not to grate, and some exquisite writing, you could do no better than George Eliot’s last novel. The length is, of course, daunting, and neither would I suggest it to anyone who is not comfortable with the classics. But someday, if you find your mind screaming for relief from the inanity that passes for literature, you could do no better than pick up this tome.